PETALING JAYA: Hotels and restaurants in the country are facing a shortage of halal turkey for the Christmas and New Year festivities. There was a shortage because the sole exporter of the meat to the country has closed its business and an alternative supplier has yet to take its place. A chef at a leading hotel in Kuala Lumpur, who declined to be identified, said this was the second consecutive year there was a shortage. “Our supplier only just confirmed that they are bringing halal turkey from Sabah but our business is already affected,” he said. He said the hotel usually needed between 40 and 50 birds during the holiday season for dine-in and takeaway orders. “We had to decline many take­away orders because we could not confirm early that we would have enough supply,” he added. An importer, who wanted to be only identified as Lai, said his company knew that there would be a shortage from as far back as July. He estimated that about 175 tonnes of turkey was imported for Christmas last year. A spokesman for Tesco Stores (Malaysia) Sdn Bhd also reported a shortage. GCH Retail (Malaysia) Sdn Bhd, which operates Cold Storage, said it had been trying to get supplies from abroad since June. 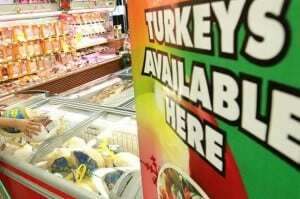 Malaysian Association Of Food Animal Veterinarian past president Datuk Dr Vincent Ng said Goldfields Turkeys was the sole exporter of the halal meat to Malaysia. But the company had closed, he said. This was confirmed by Australian news reports in July 2013, on the Internet, that the company was shutting down before the Christmas of that year. Department of Veterinary Scien­ces (DVS) director-general Datuk Dr Mohamad Azmie Zakaria said efforts had been made to bring halal turkey into Malaysia. He said a processing plant in New Zealand, which has halal certification, had been chosen although its products had yet to be inspected by the authorities here. “We can allow it (the turkey) to come in. The plant uses Jakim stan­dards as a guideline,” he said. He said a plant in Brazil, also with halal certification, was approved by the DVS in June but importers here ran into problems.